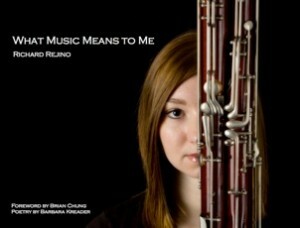 What Music Means to Me? Below is a selection of videos featuring artists in the book What Music Means to Me showcasing the stunning photography of Richard Rejino. I highly recommend purchasing the book to accompany the videos. The clips show extraordinary musicians that inspire all of us at any age. Besides each of them being blessed with an amazing gene pool, they all seem remarkably determined to build upon their gift and share it with the world. Although their level of talent is obvious and we all marvel at their incredible skills, I believe there is a marvelous musical seed in every human being. It is a privilege to weekly groom that potential with every one of my students. This episode is dedicated to them and their families. Although they may not become well-known for their musical skills at the keys, my hope is that they all know well the irreplaceable gift of music and enjoy it for a lifetime. FYI: the book/DVD is available in hard or soft cover at Amazon, and Barnes and Noble, or check your local music store.